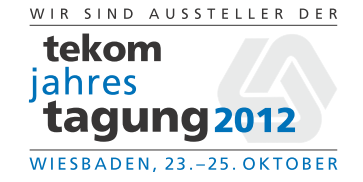 tekom is the largest international event for Technical Communication. We invite you to visit our booth no 455-461 at hall 4 which we share with our partner EC Innovations. « Yearly DSAG Congress 2011 – See You in Leipzig!